As I faced the big “4-0” this year, I once again received another blessing from a diamond in the cake world, Liz Marek of Artisan Cake Company. 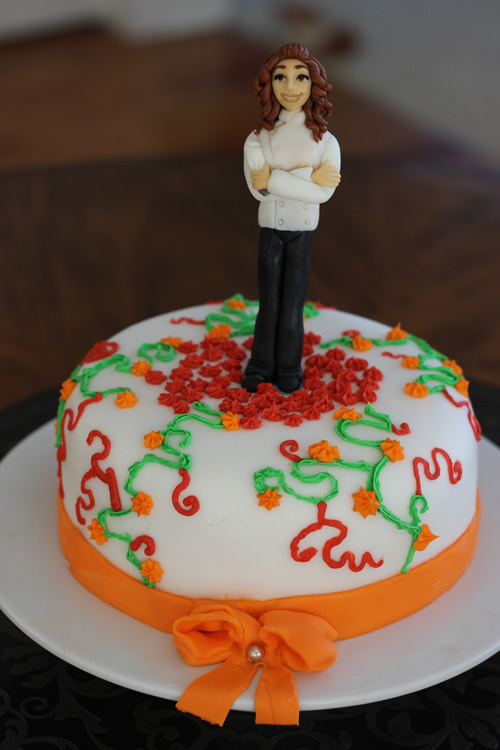 Earlier in the year Liz had a contest to win one of her handmade cake toppers. All you had to do was like her Facebook page and comment on it. Low and behold I won a cake topper! I was so excited because Liz is an incredible artist and her toppers always amaze me. 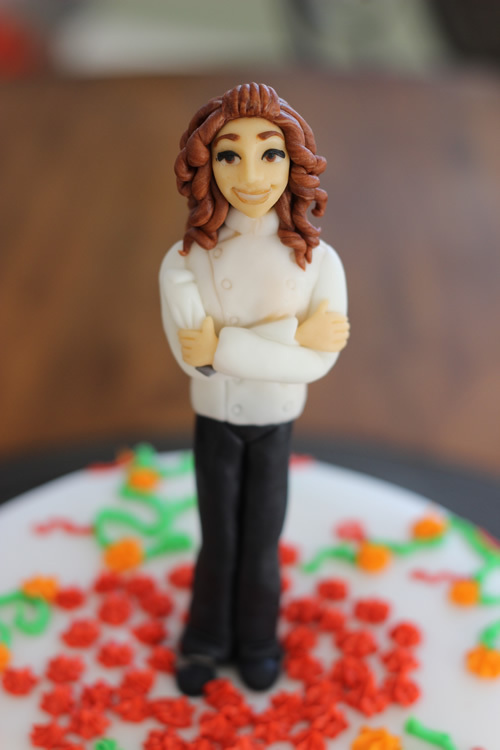 I decided to save it for my birthday and have her make a topper of myself in a chef’s coat with a decorating bag in hand. My birthday was much more low key this year. No big trips, just a quiet dinner at home with my family and my best friend. But it was as special as any of my other big days because my girls made the dinner. We aren’t talking about a fish stick and canned veggie type meal. 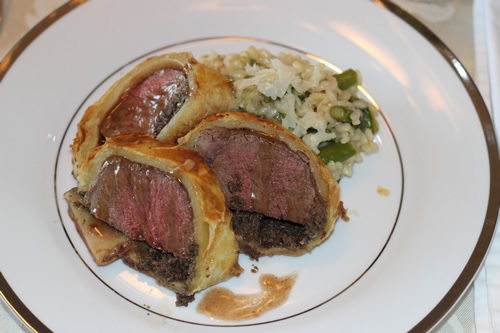 My 15-year-old daughter made the main course of the dinner which was beef wellington and asparagus risotto. (Can you tell that Hell’s Kitchen is one of her favorite shows?) Look at this incredible dish! 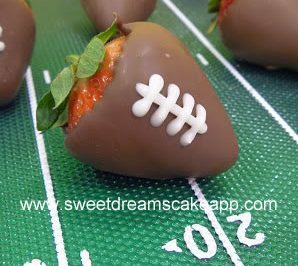 Doesn’t it make you drool? 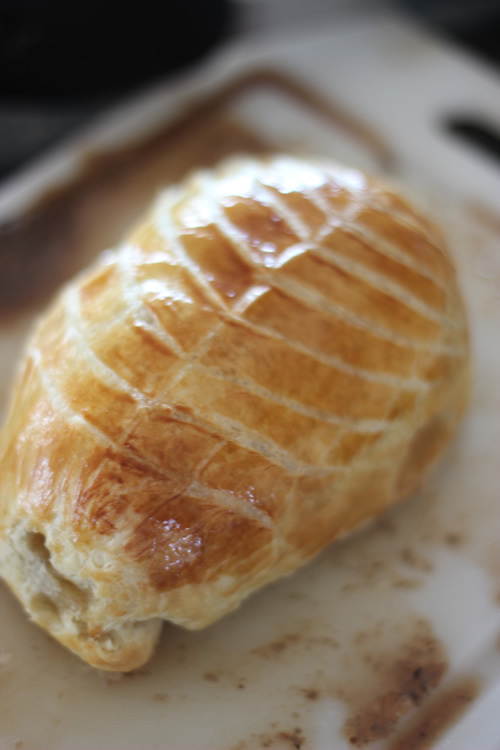 Here is a shot of the beef wellington before it was sliced. It was so beautiful! 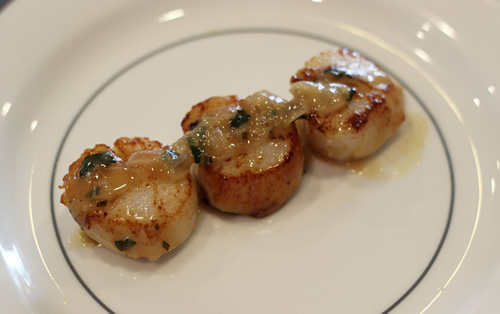 Oh, and I can’t forget the side of pan seared scallops that went along with it. Unfortunately I didn’t get a picture of the Caesar salad that my husband made to start us off. Sorry, honey. Trust me, it was really good as well. 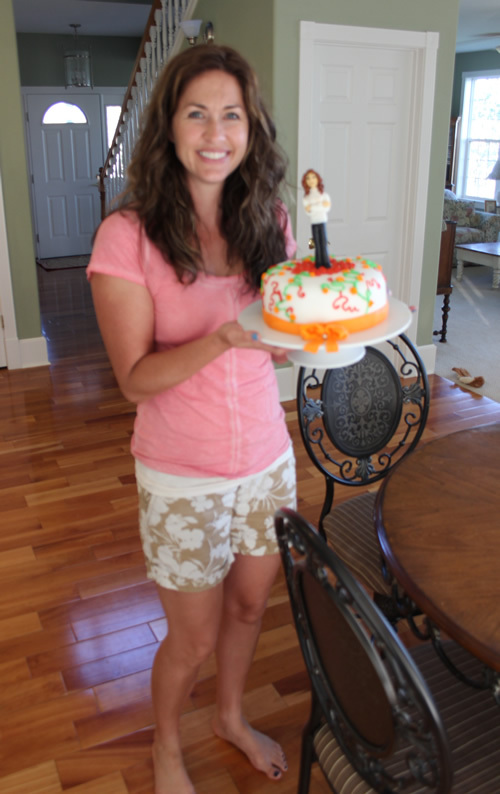 For dessert, my 13-year-old daughter made my birthday cake and topped it with the beautiful topper made by Liz. My daughter had locked herself in my cake room and wouldn’t let me see the cake until the dinner so I was eagerly awaiting the final creation. 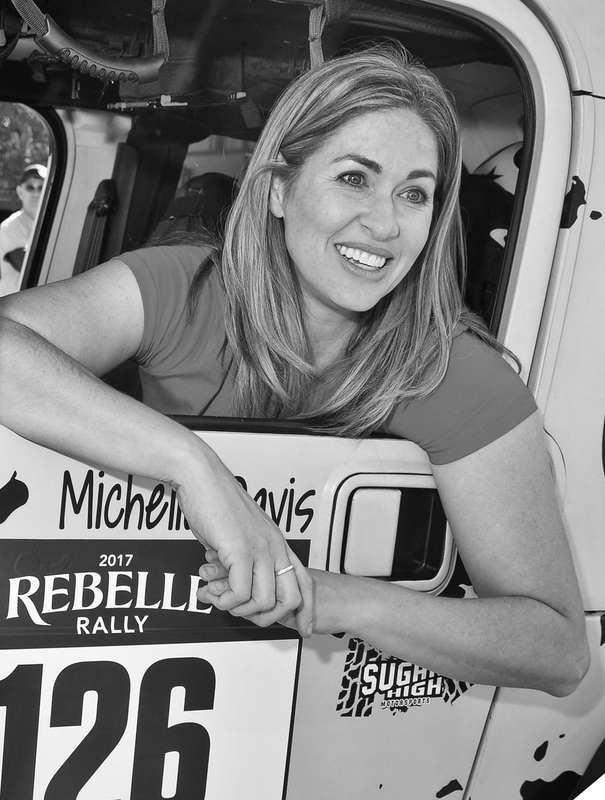 All of us cake decorators out there know how much it means to have someone make you a birthday cake because we know and appreciate the time and love that goes into them. 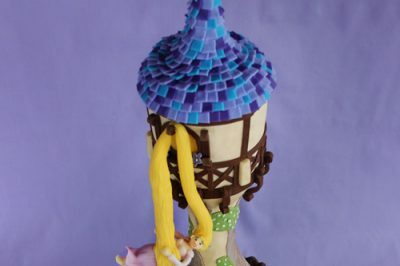 Of course, I couldn’t help but beam with pride to know my daughter had baked, iced, covered in fondant, and decorated that cake all by herself after years of watching me. She did such a great job. I think I may have to get her to start helping me with my cakes. And check out this topper! Isn’t it the cutest thing ever? I was blown away by the adorable details on it, especially the little decorating bag. 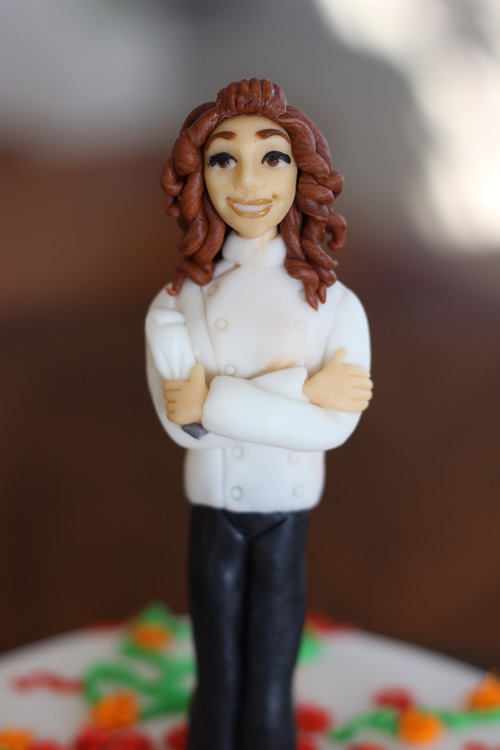 Liz sells and ships custom cake toppers through her website so you can get your own little “mini-me” for your birthday cake. 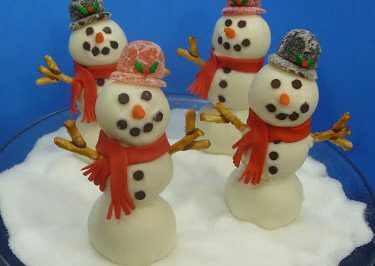 And if you would prefer to create your own topper, Liz also has free tutorials on her Youtube channel teaching you how to create your own masterpieces. I have to throw in a quick picture of me with the cake. Unfortunately when my husband took this the camera setting was off so it is a bit blurry. I feel like one special lady to have such talented daughters and to have had so many wonderful cake people make my birthdays unforgetable these last few years. Your daughter did a very nice job on your cake, the apple does not fall far the tree! lol. 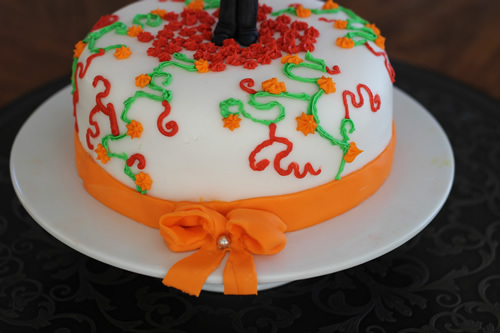 Of course, the cake topper is terrific too! I hope you had a wonderful birthday! Oops! Meant to say,apple does not fall far FROM the tree!